Right on the heels of the PARTS Act hearing in Congress, Hyundai on Wednesday formally announced a new email and video ad campaign touting the benefit of OEM parts. The ad campaign will appear on Hyundai’s YouTube channel (Good timing; people might be still checking out its Super Bowl ads.) 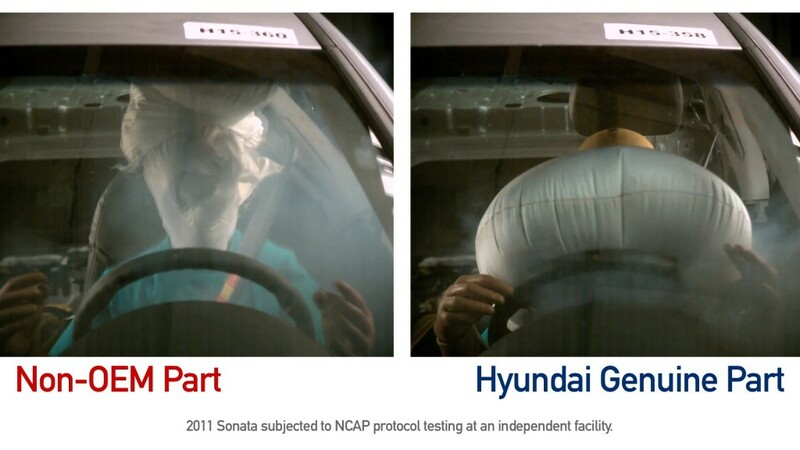 and Hyundai’s Consumer Awareness site. Hyundai will also spread the message to its vehicle owners via email. It displays a “Non-OEM” part malfunctioning and sending an airbag wrapping around the fact of a crash-test dummy. The malfunctioning part wasn’t disclosed, but presumably it’s related to the airborne airbag. 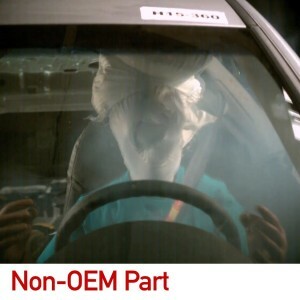 Anything other than new or recycled airbags (themselves controversial) are illegal, and counterfeit airbags have been recognized as a threat by the NHTSA, according to this 2012 Edmunds piece which does a nice job summing up the issue. Other OEMs have focused on how airbag timing or crash-energy direction can be thrown off by a non-OEM part, such as a component on a bumper assembly. While not outright criticizing insurer direct repair network shops, Hyundai notes their existence but advises drivers to shop around and ask their dealership and family and friends for recommendations, too. 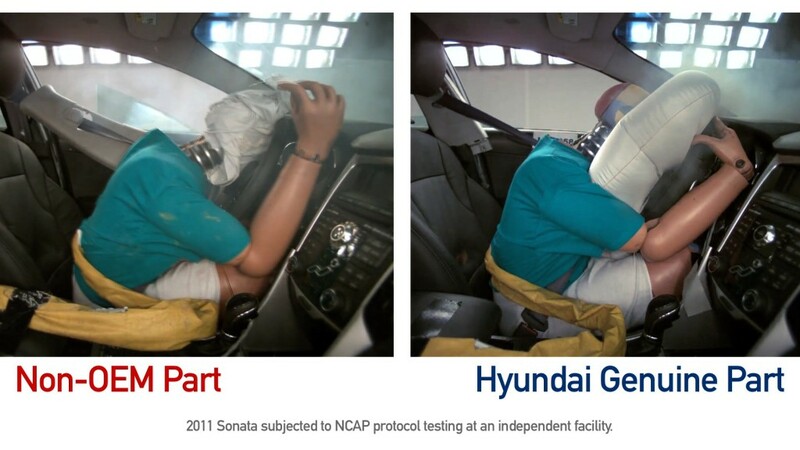 The campaign was Hyundai’s third to support collision repairers, dealerships and owners, the OEM wrote. It follows the repair network and the 2014 launch of the Hyundai Go Genuine Collision Conquest program.